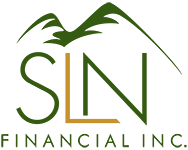 July 27, 2016 - Use These Tips to Protect Your Money When Traveling | SLN Financial, Inc. Traveling this summer? Save yourself a headache by using these tips to help keep your money safe while you’re away. Notify your financial institutions if you’ll be traveling abroad. Few things are more annoying than to have your cards blocked for fraud when you can’t easily call and fix the situation. Give the institution dates and locations of your travels and ask them to place a note in your file. Set up online account access. Make sure that you can check your account activity while you’re traveling and can compare purchase amounts against receipts to make sure you’re not being overcharged. Set up online payments and online transfers to stay on top of your bills and manage money while you’re away. Consider setting up a special travel checking account. If you’ll be using a debit card to get cash from ATMs (often cheaper than changing dollars directly), don’t use the debit card linked to your main checking account. Many ATMs are not secure, and you want to limit the amount of money a fraudster could access. Instead, set up another checking account at the same institution and put just enough money to get you through your trip. If you need more, you can usually transfer money between accounts online. Carry multiple forms of payment. Never assume that you can use a credit card every place you go. Visa and MasterCard are the most commonly accepted cards abroad, but cash is often king. If possible, carry multiple types of credit cards to increase the odds that a merchant will take one. Clean out your wallet before leaving. If you typically carry a wallet full of identification, credit cards, loyalty cards and more, empty it before you depart. Carry only the ID and cards that you’ll need for the trip and leave the rest at home. Carry a spare stash. Pickpockets are a scourge in many popular tourist destinations, and you don’t want a lost wallet to derail your vacation. Store a spare credit or debit card, cash reserve, and photocopies of your passport or other identity documents in a safe place. Don’t trust room safes. Though you don’t necessarily want to carry around lots of cash, hotel room safes are notoriously insecure. In most hotels, management (and even housekeeping staff) have access to a master access key. Instead, hide money and documents in the bottom of your suitcase or in a hard-to-reach spot in your room. Be wary of free wi-fi. If you will be using open wi-fi or a hotel computer, be very careful about entering passwords and other sensitive details. Make sure you log out of every account and clear the browser history before ending your session. Consider changing your email and banking passwords before traveling and then change them again as soon as you return.